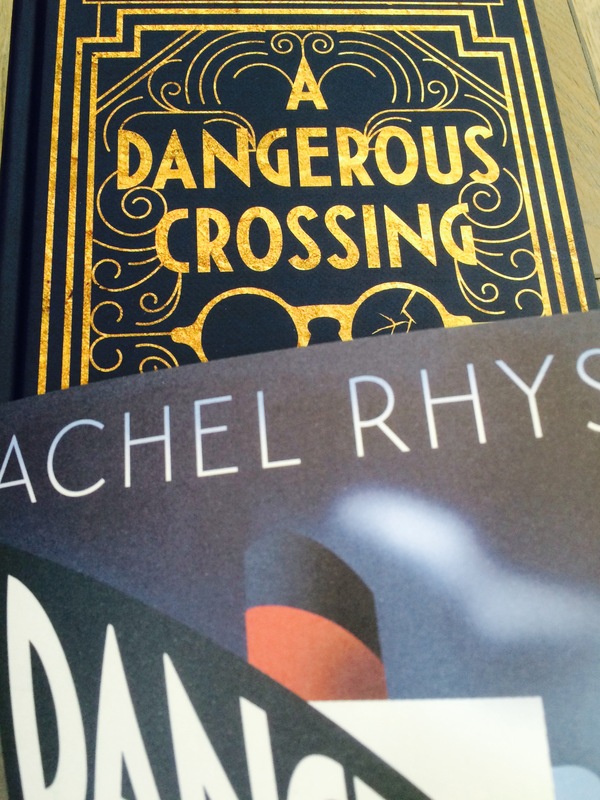 It’s been a month since publication of A Dangerous Crossing, my first historical novel under the pseudonym Rachel Rhys and I am full of shame that it has taken so long to update. In my defence I’m such a technophobe that the thought of having to locate my website log-in details and google ‘how to put photos into a blog post’ always sends me running for the kettle (and the telly). 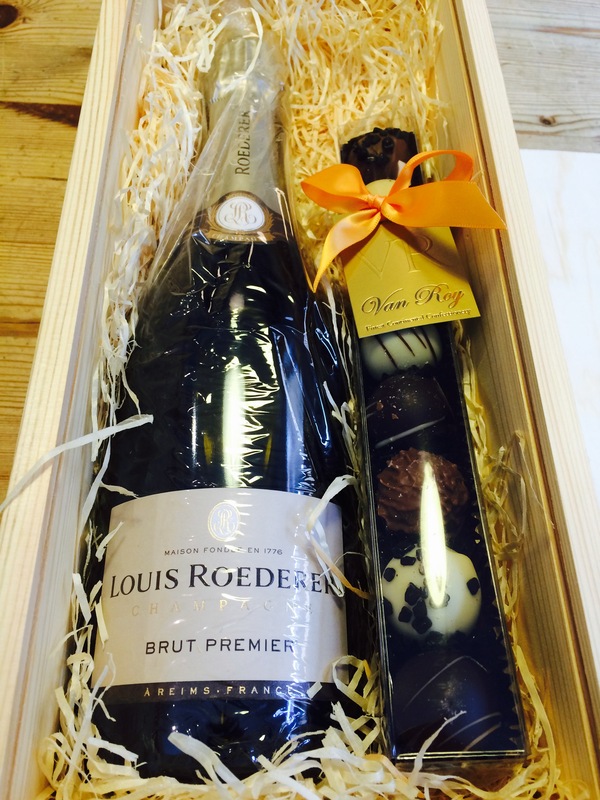 Plus there’s that sly voice in my head that says ‘I’ll update my website when I have some Big News’. The cunning flaw being that the longer I leave it, the Bigger that News needs to be to merit posting. To make up for laxness and lost time, here’s a potted guide to the (many) highlights of the last few weeks surrounding publication. Please excuse the eccentric layout. This has literally taken me all afternoon, barring the half hour I just spent hosing down my dog who rolled in something disgusting. Holding the finished hardback in my hand for the first time and discovering – oh joy of joys – a beautiful printed cover hiding underneath the already gorgeous jacket. It really is the most gorgeous object. Worth buying just to look at it, even if you don’t read it! 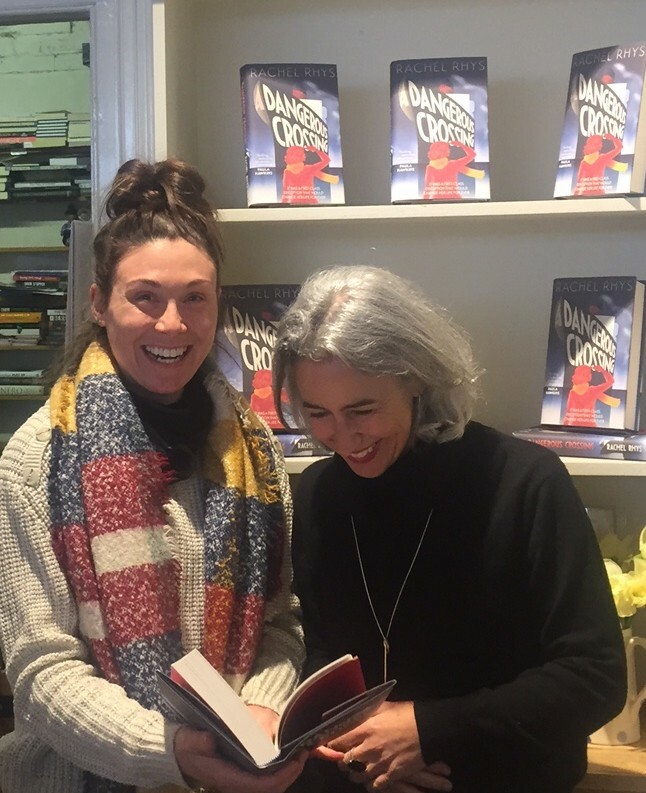 Whizzing around Buckinghamshire and Oxfordshire with Alison Barrow, publicist and knower of all things book-related, on a whirlwind tour of some of the brilliant independent bookshops that are stocking A Dangerous Crossing. Meeting the booksellers and stroking some of their displays (in a non-creepy way) (hopefully) and eating many biscuits. Publication lunch at Bob Bob Ricard, which has brass ‘press for champagne’ buttons and looks a lot like the inside of a very fabulous art deco ocean liner. 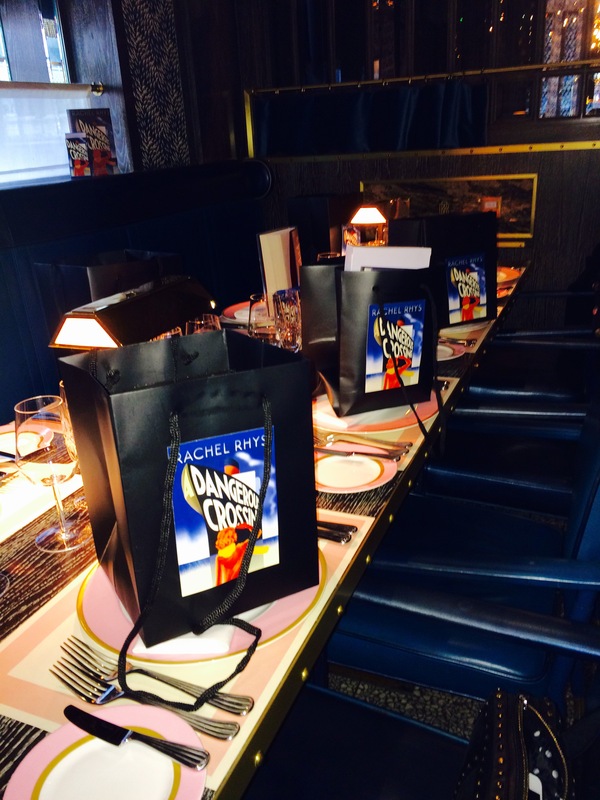 Table set with A Dangerous Crossing goody bags, courtesy of Alison. Lovely company including Fanny Blake, Lucy Atkins, Cari Rosen, Nina Pottell and Charlotte Heathcote, as well as Alison Barrow and editor Jane Lawson. 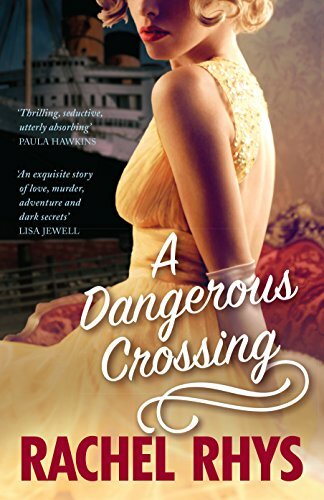 Not content with one publication day, I had another soon after when A Dangerous Crossing came out in Australia, complete with brand new cover design. Reading some blessedly kind reviews. There’s a moment before publication when you convince yourself that this is the book where you’ll be uncovered as a fraud and people will openly laugh in the street that you ever considered yourself a writer. So the first positive newspaper and magazine reviews bring on a flood of grateful relief. 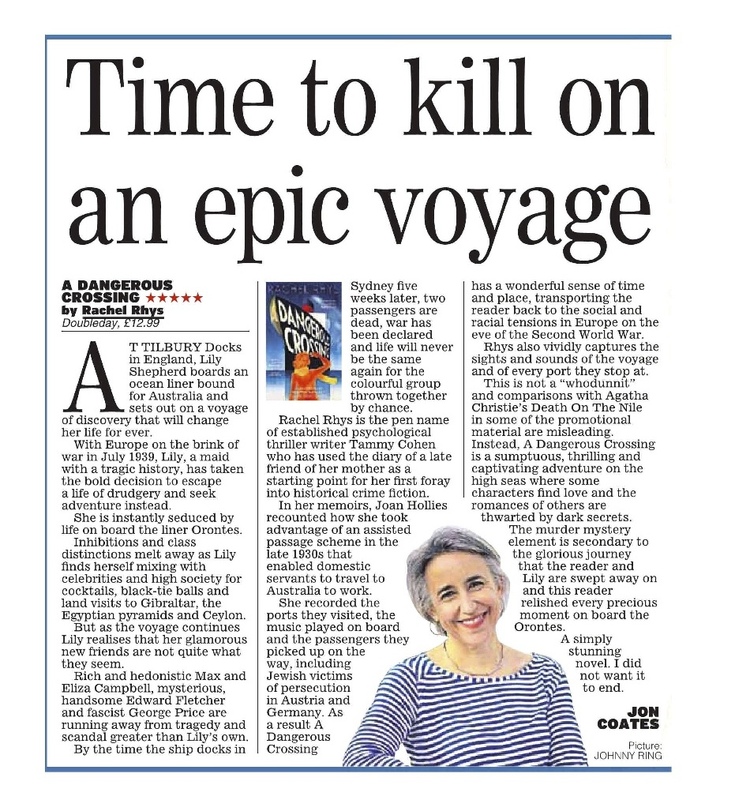 There are so few books pages, and so many books, competition for space is fierce, so I was thrilled to see A Dangerous Crossing reviewed in so many places including The Express, The Sunday Mirror, The Sun, The Sunday Express, the Irish Times, The Sunday Times Crime Book Club, Red, Woman and Home, Good Housekeeping, Prima, Hello! 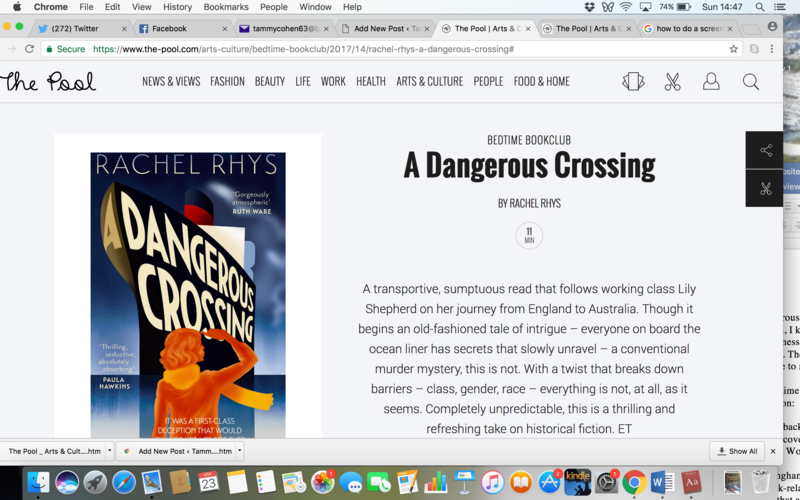 Being The Pool’s Bedtime Bookclub choice for the week after publication, especially as The Pool is one of the coolest websites around (though still waiting for some of that coolness to rub off on me). Also loved being Gransnet’s April Book Club pick. Slightly nervous about the questions they’ll be putting to me at the end of the month though. Please be kind, it’s been a long month!